Have you ever tried Half Persian 3 in 1? I’ve posted about it a few times before. 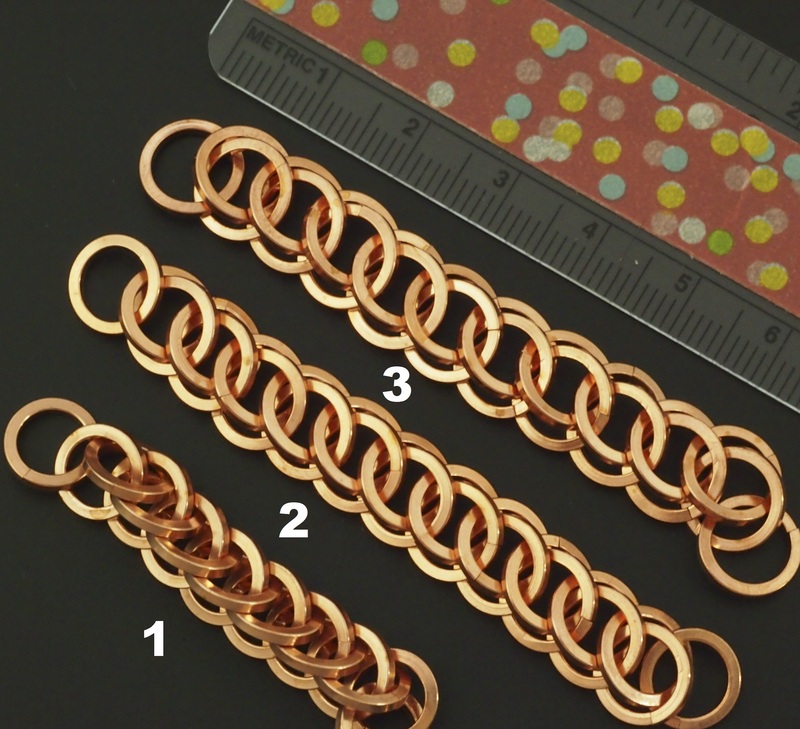 In this video my daughter discusses several different variations of the Persian chainmaille weaves, and in this blog post I talked about how the weave varied depending on the aspect ratio used. Yesterday I tried something I haven’t done before. SQUARE Persian 3 in 1. I used three different sizes of rings. 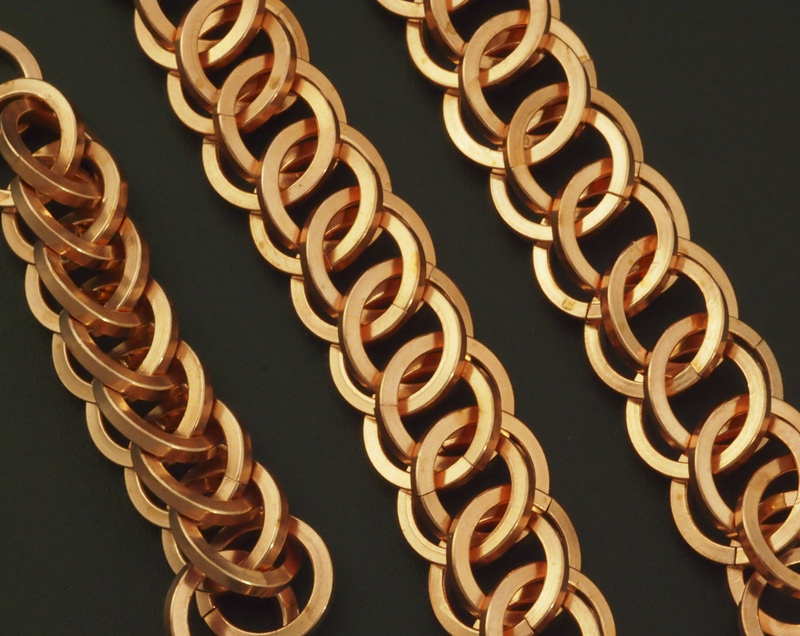 You can see how as I increased the diameter of the ring the weave became more flat. Only one of these sizes will be my standard size, and YOU get to choose! I’ve numbered the weaves 1, 2, and 3, starting at the bottom left and moving toward the top right of the picture. Leave a comment below letting me know which version you guys like best, and which one you think I should sell! I like all three, but I think my favorite is #2…really like the way it sits. I made a stainless steel flat one that looks very similar to #1. A shame there’s no video twisting and turning the weave, because with that tight a weave it’s still very flexible, but the extra height of the top ring gives it more angles, sparkly light off the flat parts of the rings, and lovely deep shadows because of the increased angles. My vote is #1! I really like #1. You see a lot more angles. I think it looks elegant! 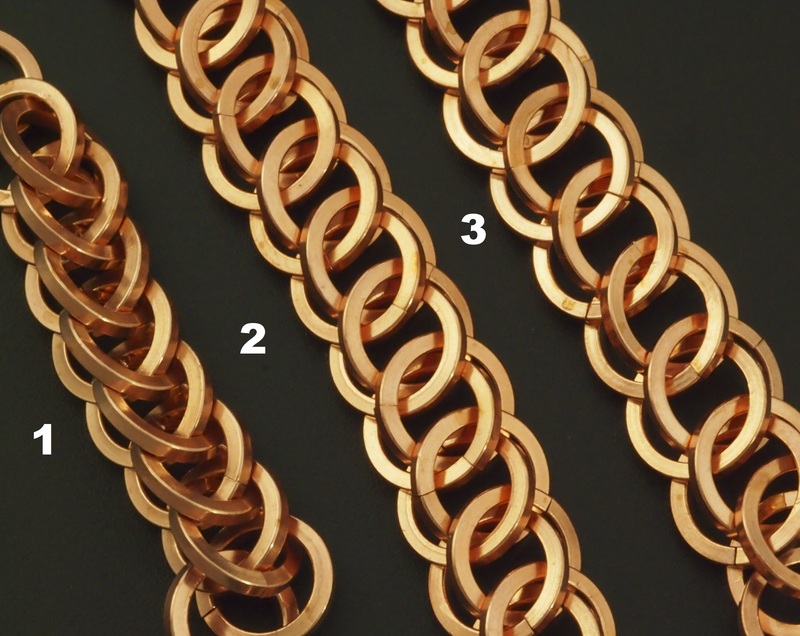 I really like the elegant look of #1 but #2 is my preference!